The HRCA says the Prime Minister has allowed himself to be caught up in populist electoral activity at the cost of longstanding Australian policy and Australia's long term commitment to human rights. HRCA national spokesman Chris Sidoti says Australia can not reduce itself to the level of the monsters who inflict these kinds of horrors. Sidoti: "If we are to maintain our own integrity as a nation, as a people, we have to be better than those we condemn," Mr Sidoti said. "And yet by resorting ourselves to killing the killers, we are in fact legitimising killing, we are sending the message that says in certain circumstances killing is okay. "So we are really reducing ourselves to the level of those who have inflicted such outrageous damage upon people," he said. Mr Sidoti says Mr Howard is dodging the real questions and seeking to avoid any form of public accountability for what is already taking place. "He has indicated that he considers the war even without United Nations sanctions justifiable, if that's the case he should be releasing the international law advice that the government has received, and let's get the legal authorities out there in the open and properly discuss the lawfulness or otherwise the action that he is proposing," Mr Sidoti said. Texas State Death Penalty Abolition Coordinator, Amnesty International USA. Texas has already liquidated 8 human beings thus far this year in the death chamber in Huntsville, and another 9 more face a similar fate before April 23, including 3 more this month. Texas has now carried out 297 of the 830 executions in the USA since the death penalty was re-legalized in 1976. Ed: However, the problem with this article is it appears to be in relation to objections to the 'death penalty' [?] Plausible if it were true - however, this article is just propaganda - instigated by the Howard government - who high-jacked The Human Rights Council of Australia - and used that agency to give legitimacy to Osma bin Laden as an enemy of the Coalition of the Killing. When in fact, at all material times bin Laden works for the Coalition of the Killing. 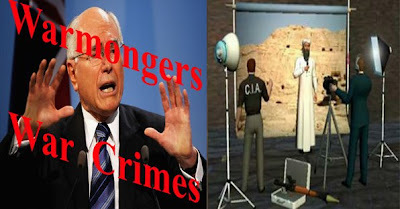 That illegal and degrading use of a 'human rights issue' and a 'federal government agency' by war criminal John HoWARd, is a crime within itself. Furthermore, during the course of the Howard government dictatorship, Howard used federal government arms (agencies) including his ABC, not for and on behalf of the Australian people but for his greedy and evil self-serving purposes.